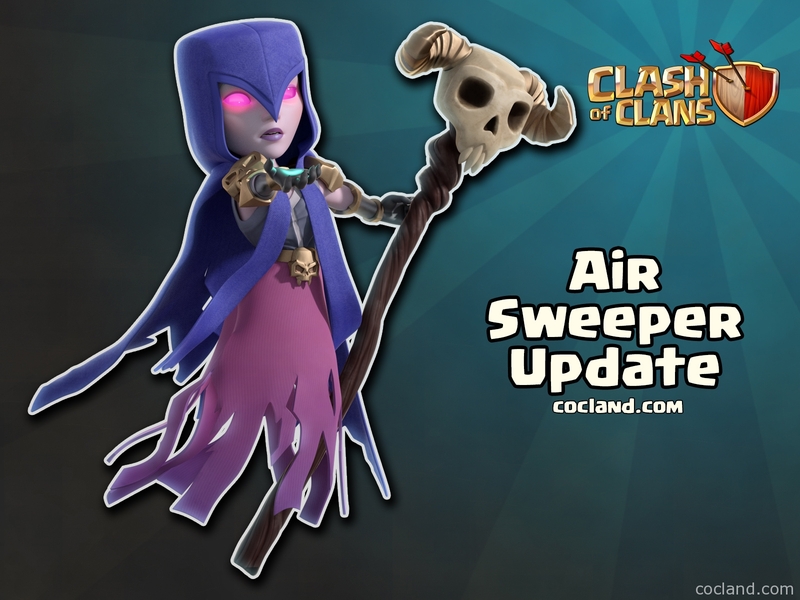 Today, the new update called Air Sweeper is out with plenty of new features! Let’s take a look discuss about this new update. 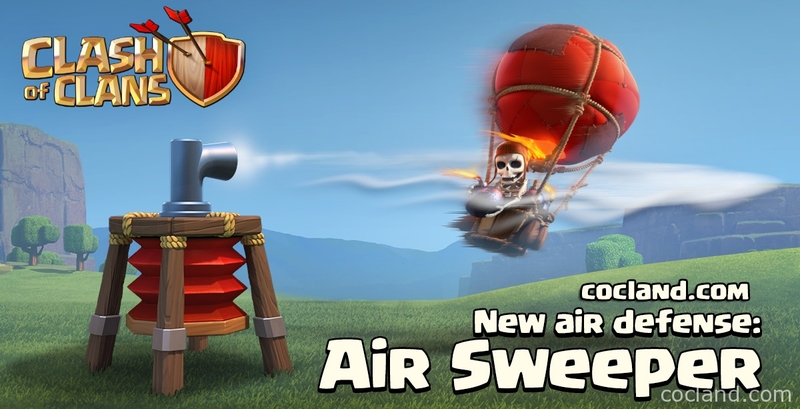 Air Sweeper is the brand new air defensive building in Clash of Clans which doesn’t deal damage but can push back a squad of air troops. You can buy at Town Hall 6 and upgrade it at higher Town Hall levels. For more details about this new defense, you can read the Air Sweeper Guide. You now can bookmark total 30 Clans in the Clan menu of Clan Castle to view and follow them. 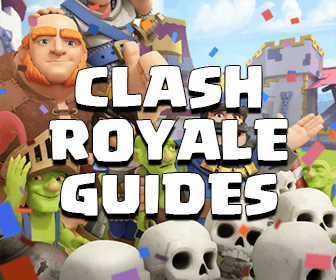 This will be much more useful because you don’t have to find a certain Clan everyday. Your army will be previewed before every Clan War attack. You will never have unprepared attack again! 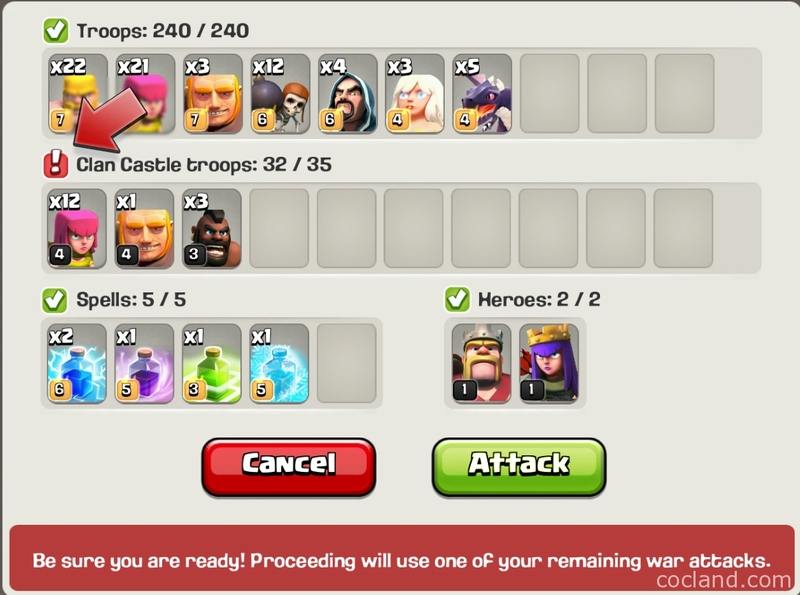 Troops in the previewed windows are split into 4 groups: Troops, Clan Troops, Spells and Heroes like the screenshot below. You can now change your name from Town Hall 5 once but If you one to change it again, you have to follow this changing name tutorial. Chat log shows every single change of the Clan. You can now see the attack range of a defensive building while it is being upgraded. You can change the defense modes of buildings/Heroes while they are being upgraded. 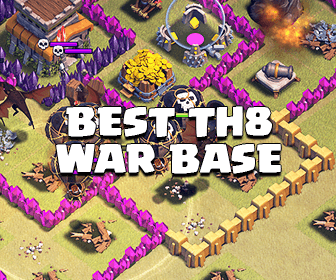 Attacking troops don’t start chasing the Clan troops as far as yesterday. Improved loot of some low level maps in Single Player Campaigns. While searching match, you now usually can find villages which have the same TH level as you. Better Clan War Matchmaking system. Such a big change in Clash of Clans, isn’t it?